Soviet Russian Army EarGuard Tank / Artillery Helmet / Hat USSR Original Real USSR Artillery or Mehanezed Troops EarGuard Helmet. Made in the USSR in 1980s. In great condition. Never used military surplus. 100% genuine and original item! ..
Soviet Russian Army Paratrooper Airborne Jump Helmet VDV Hat Cap USSR Original Real USSR Airborne Troops (paratroopers VDV- vozdushno desantnie voiska) protective parachuting combat hat / helmet. Metal rimmed vent holes and adjustable chin strap and buckle. 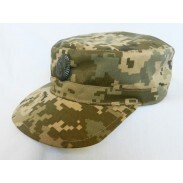 You were ..
Standard combat cap in new digi camo pattern for Generals and Highest Officer's of Ukraine Armed Forces. 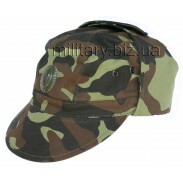 ..
Standard combat cap of Ukraine Armed Forces. 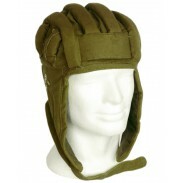 Model 2015 This model of combat cap calling "Mazepinka". Title "Mazepinka" comes from the name of Ukrainian Hetman Ivan Mazepa 17th century In March, 2015. "Mazepinka" Cap as the headdress of the Ukrainian army has been ap..
Winter combat hat in new digi camo of Ukraine Armed Forces. Model 2015 Hat with metal badge. Faux fur. 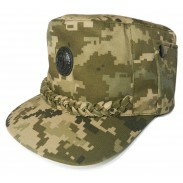 ..
Standard combat cap of Ukraine Armed Forces. 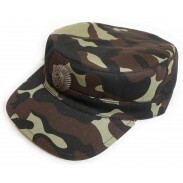 Model 2014 ..
Standard combat cap of Ukraine Armed Forces. 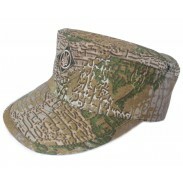 Model 2015 Cap in new camo pattern called "Varan". 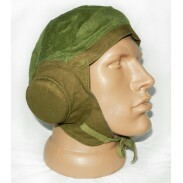 This model of combat cap calling "Mazepinka". Title "Mazepinka" comes from the name of Ukrainian Hetman Ivan Mazepa 17th century In March, 2015. "Mazepinka"..
Army field summer woodland camo cap This model was at first worn by Soviet Spetznaz and called "Mabuta cap" or "Afghanka (Kepi) Cap". 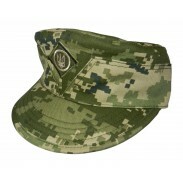 The original cap design dates to the early 1970s in Soviet Union. 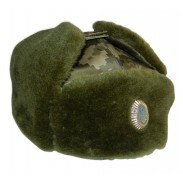 This cap was widely used by Soviet soldiers in Afghanistan. After t..